So you want to go or continue in college? Excellent! You don't want to go to just any college you want to go to the college. After attending six colleges myself and entering my seventh, I have learned over the years a couple key ingredients to successful college applications and the admission process. College applications can be very stressful. But guess what; they don't have to be if you can follow a few simple steps to make the process easier for undergraduate, masters, or a doctorate. The most important piece of information I could pass along regarding college admissions is that applications all have deadlines. Don't apply on the last day! The few times I have applied on the very last day or towards the very end, I have been placed on the wait list or simply not accepted. I have noticed a pattern with college admissions. They have already received a number of applicants probably highly qualified to become a part of their school/program earlier in their admission process. You may also risk the chance of any external documents being sent late and not arriving by the deadline. Let's face it the early bird gets the worm. It's just risky business applying late. Most colleges have early admissions. Another big key ingredient is a special number to remember is your GPA. Make sure you know your high school graduating GPA. Plus know your major GPA from college. I have been to more than one college. In these circumstances it is a good idea to know your cumulative GPA. If you need help on how to calculate these different GPA's go to http://www.back2college.com/gpa.htm. Now that the numbers are filled in and the one word questions are complete, let's talk about essays. Most applications require a short essay (s) on various topics. 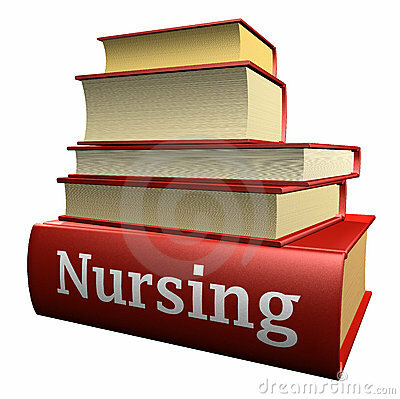 The topics can range from a biography to current affairs or possible research topics in your field of study. I recommend staying current on domestic and world affairs. There are classes you can take online or speak with your guidance counselor regarding college prep classes. They can help develop your writing skills. Try English Club online. This way you can write a rock'n college application essay! It never hurts to start early and write why you want to go to college and why they should pick you. Most college applications no matter what level require some kind of essay about you. Keep in mind entering your junior year in high school, college, or as your career progresses, you may need to call on your teachers, professors, or colleagues for letters of recommendation. These can be a powerful aid in your application. These people can write and testify to the admissions office your character, work ethics, and what goals you desire to accomplish. I keep a folder of contacts I have used and are willing to let me use them as recommendations when applying for jobs and college. Just keep in mind to keep those bridges alive when you leave a school or a job. They just might come in handy later in life. Join groups like the debate club, sports, a political party, even a professional's organization. They can offer certificates, volunteer opportunities, scholarships, etc... This can help show you are a well rounded individual. Universities want to see an individual being a part of their community and become a diverse well rounded background, not just a good student with high test score and stellar GPA. Lastly, be yourself. Don't just apply to one school. Apply to a number of schools that interest you. There may be a particular school you want to go to. You should take into consideration how you are going to pay for college. Different schools can offer you different financial assistance, depending on if it is private or a state school. Colleges can even give you scholarships themselves. Consider in and out of state tuition costs, as well. I would be in close contact with the financial aid office with the colleges you are applying to. 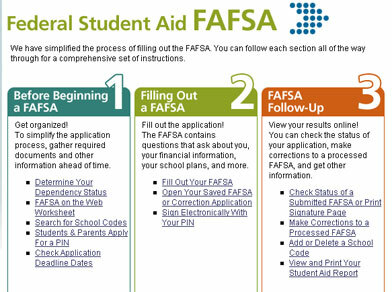 Don't forget to apply for government financial aid (FAFSA). If college is getting tricky to find a way to fund it, you can look into joining the military. They will take an X amount year commitment and then fully or partially pay for your entire or x amount of your degree! It may put school on hold, but you gain priceless experience that can transfer into any career. You can also look into your employer and if they have any assistance programs where they will pay for x amount of semesters for an x amount of years of service in return. Usually the schooling needs to be in an area that advances your career or an area they are in need of service. Hey, if it gets two years of school paid for and not to mention you walk into a job afterwards, what a bonus! Even states have college funding for areas of need in the state. They can pay again an x amount or even the whole thing. In my nurse cohort, 6 of my classmates took a full ride scholarship. In return they owed the state 2 years of nursing in a state run mental health care facility. Do some digging and talk to your guidance counselor or the financial aid advisor. They can get you started in the right direction. Follow some of these guidelines, or all of them, and any other ingredients you may find along the way. Be organized, apply early, work on those essays, get some key people to back you up, and you may need to take a different route to pay for school. Congratulations is due, you want to make yourself better for tomorrow. 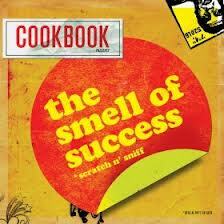 You just have to find the right recipe that works for you to achieve your future goals. Read more Successful College Applications Help from other students and parents who have been through process. Thank you Jennifer for some tips about successful college applications. You have a lot of experience and good advice. Best of luck to you in college #7.